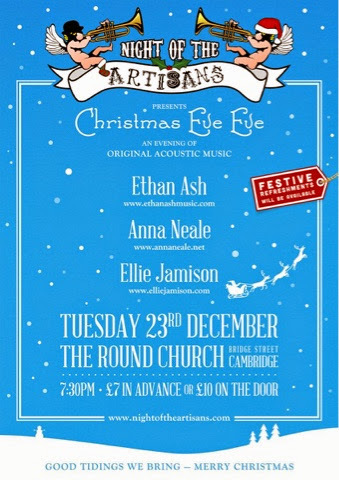 Very pleased to announce that I'll be supporting Ethan Ash at the beautiful mediaval round church in the centre of Cambridge 23rd December. This is a stunning gig with some amazing acoustic music surrounded by candle light (not to mention the beautiful setting itself!). Ethan's well known for being Ed Sheerans support on his + tour, aswell as supporting Passenger and Seth Lakeman so don't miss out!